When will the Government make the right decision on road pricing? Evidence is mounting not only of the overwhelming economic case, but that support may be growing in the business community and sections of the media. Last week the EEF manufacturers’ organisation said that investment in roads must be a top priority and that Government should consider road pricing. 7 out of 10 companies would support road pricing if it delivered significant network improvements or was offset by cuts in existing taxes. Earlier in the week several national newspapers were treating the prospect of a new tolled M4 motorway in South Wales virtually as a given. The Times even gave the issue a front page spread under the headline “£1bn plan to put Britain on the road to recovery”. This prospect was subsequently denied by the Treasury and the Welsh Government. Moreover, the Transport Secretary told the Financial Times that he won’t bring in national road pricing because “the motorist has been hit hard over time”. This presents a major missed opportunity. When coupled with investment in public transport charging for road use can deliver spectacular results. In a recent report Professor David Begg concludes that London has experienced the greatest shift from the car to sustainable modes of transport. He could not find any city in the world that has experienced as big a shift as London over past 12 years. Looking at road transport and buses in particular, between 2003 and 2010 there was a 7% modal shift from car to bus in London. A major part of this success story must be attributed to congestion charging, supported by excellent bus priority measures and investment in public transport. 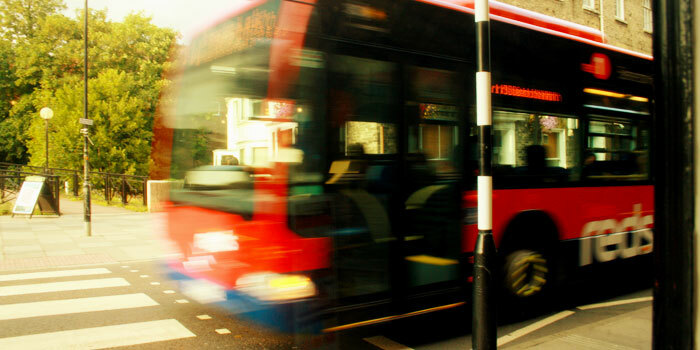 Approximately 7,500 buses carry more than six million passengers each weekday, which is more than since the early 1960s. The car is the most inefficient use of road space. Congestion is one of the main constraints on growth, and costs the UK economy £11 billion a year. Moreover as cars get cleaner, and fuel duty receipts fall the case for national road pricing will be strengthened further – the Treasury will need another source of revenue. The Government clearly understands the link between transport and growth, having recently committed an extra £15bn for new infrastructure projects. And yet it won’t commit to road pricing – one of the most effective ways of improving connectivity and creating the optimum conditions for economic growth.